Sometimes, I feel like I'm the luckiest girl in the world. Holes of my life are filled with lots of awesome people; my parents who try their very best to fulfill every of my wish, my family members who bear with my bad temper, my Teddy who supports and comforts me every single time when I am depressed, cheers me up all the time; my lovely friends who treat me so nice and give me advices, my awesome blog readers who give me compliments which will certainly make my day and last but not least, my generous sponsors! I've got so many sponsored products since the very beginning of the year and it's my pleasure to work with every single one of them. I'm nothing but a blessed kid. You would probably know already that I just got myself a haircut and new highlights if you have been stalking my Twitter. If you haven't followed my Twitter, *shows angry face and Y U NO FOLLOW ME*, follow me now as I tweet quite often hahahah! 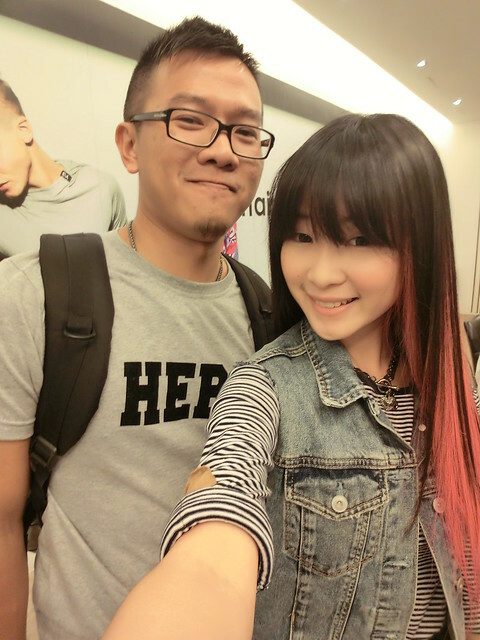 I met up with HairGroom's managing director, Black Lee at the Maju Junction Mall branch. He is truly an affable person! 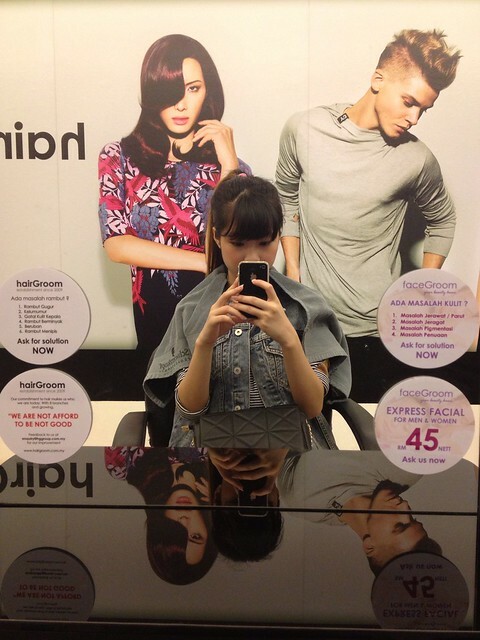 It was my first visit, and I requested to have a simple haircut, change my highlights and also have a scalp treatment. 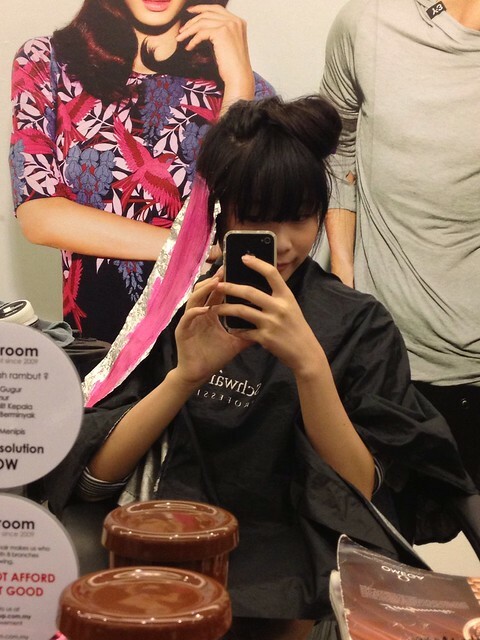 One laudable practice which I discovered among the hairstylists is that they behave very friendly and kindly to the customers! The warm smiles on their faces just never seem to wear off! 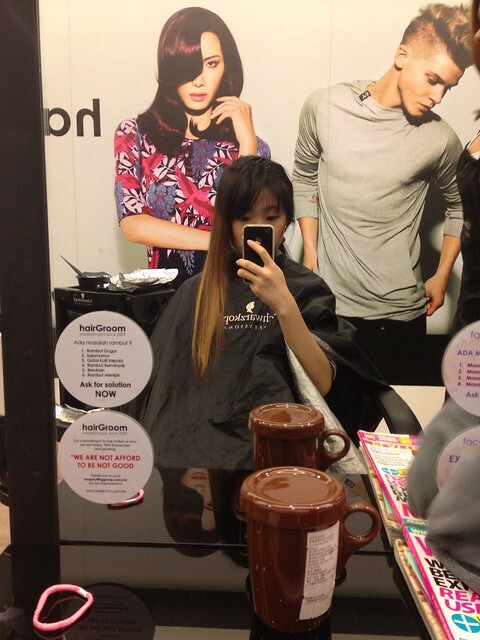 Before a makeover for my hair..
Bye to my ugly yellow highlights! 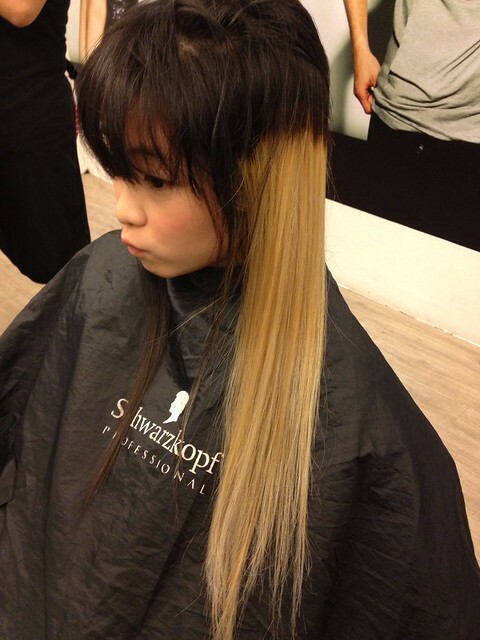 Here comes the bleaching process which took as long as 2 hours.The yellow color was still apparent even after 4 times of bleaching! /.\ Maybe it is reluctant to leave my hair lol . After bleaching, my hair was supposed to be white but oh well, yellow loves me. GUESS WHAT COLOR DID I CHOOSE THIS TIME????? 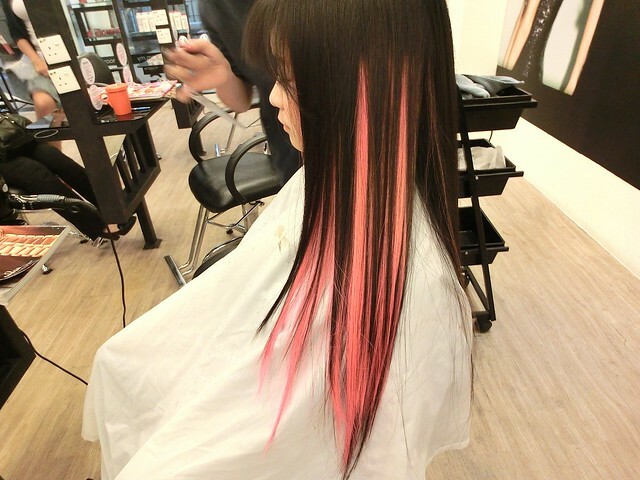 Yes, my all-time favorite - PINK!! 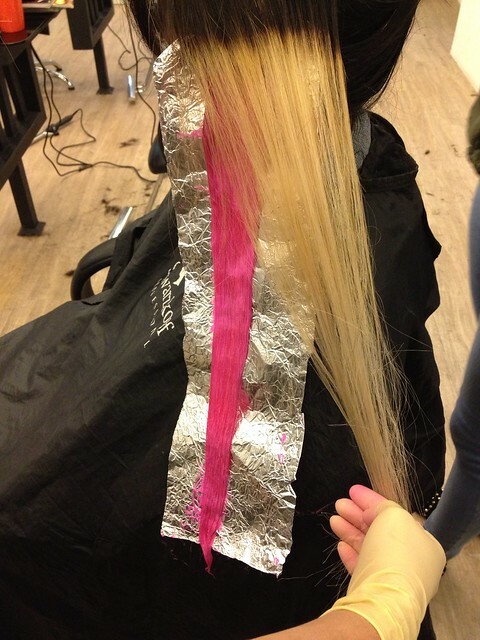 Holy I can't believe I am having pink highlights now. I was damn eager to see the outcome when I was stranded helplessly on the Princess' Throne lol! 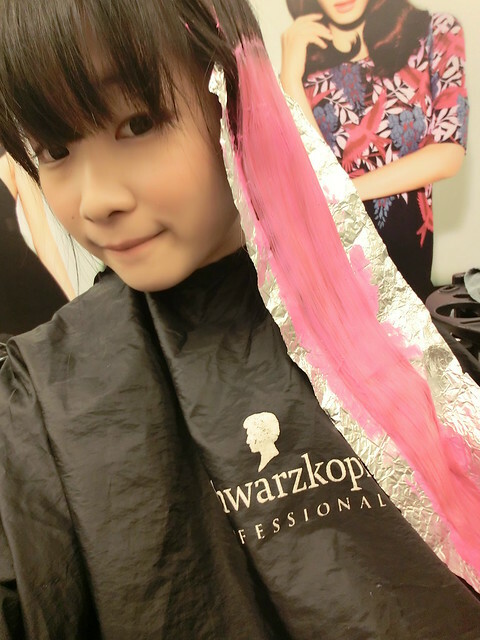 I know, the pink is soooooo pinkish loll!! 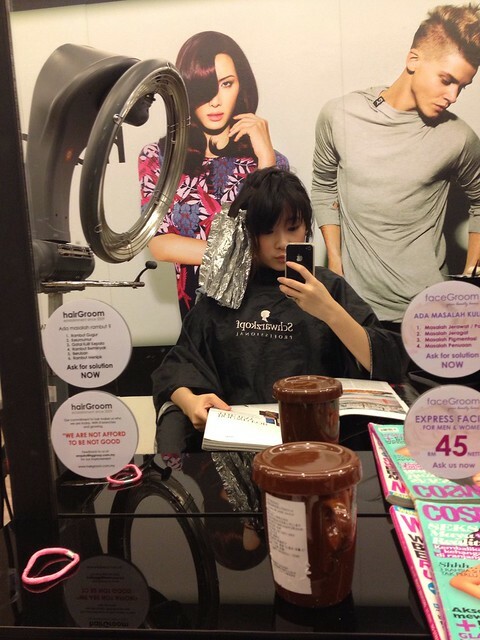 Hair treatment is a must after bleaching and coloring! 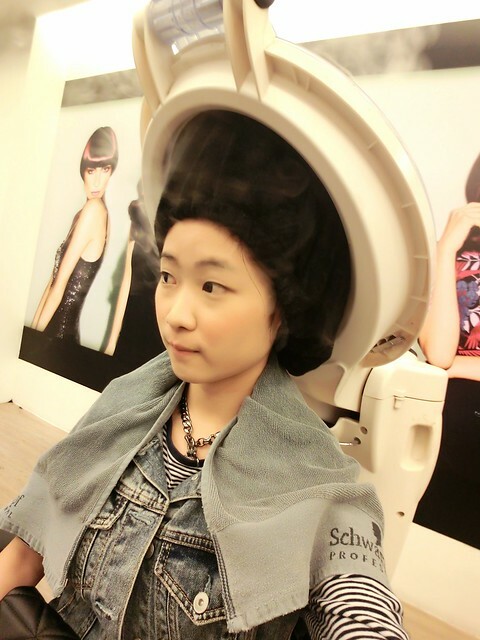 I was given a scalp treatment which improves my scalp's health and keeps my hair clean and healthy. 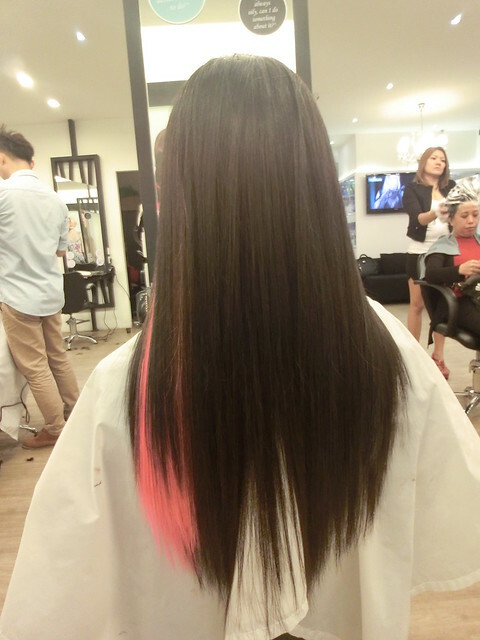 Besides, my loooong hair underwent a normal hair treatment too! Beautiful outcome and I love it so much! 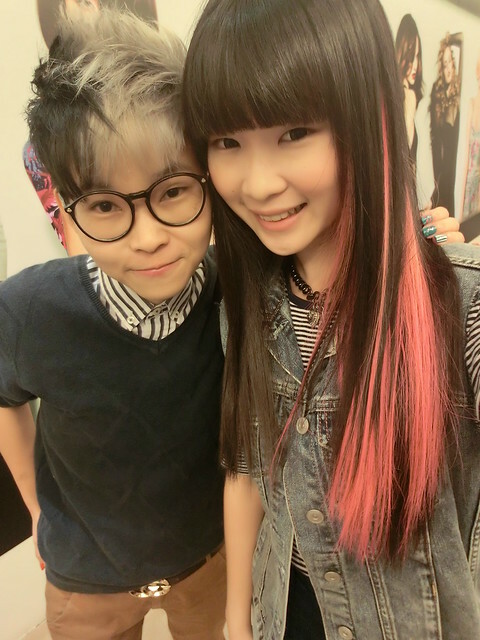 Black had to leave early so I quickly took a photo with him before he left! Last but not least, my #ootd and say hi to my neon pink highlights!! Hi girl, just wondering if you know how much does the highlight cost? your highlight is pretty!